If you owe money on several credit cards, you may find it helpful to consolidate the debt reduce the number of payments that you have to make each month. This way, instead of sending small payments to separate accounts, you can direct the full amount to a single credit card company or loan payment. There are several options to consider. If you can qualify for a credit card account that is interest free for an initial period, consider opening one, then transferring your credit card balances to the new account. While you will likely have to pay a three to five percent balance transfer fee to do this, that is a one-time charge that will provide you with a chunk of time you can focus on paying off (or at least paying down) what you owe. Some accounts offer interest-free introductory periods for as along as 18 months. If you go this route, calculate how much you need to pay each month to wipe out your debt before interest charges start to accrue. Be sure to take into account the balance transfer fee when calculating what your monthly payment should be. If your credit is strong enough to qualify for a personal loan from a bank or credit union, consider borrowing money in an amount sufficient to pay off your credit card debts. If you can't qualify on your own, consider asking a family member to co-sign for you (but respect the person's right to refuse the request). Alternately, if you have a car or other valuable possessions, you may be able to use it/them as collateral to help get the loan approved or to qualify for a reduced interest rate. These types of loans generally always have more favorable terms than credit card accounts. Check to be sure, but the interest rates are almost always lower than credit card accounts. Additionally, these loans are typically installment loans with a set number of payments required. This type of loan can be easier to pay down and off than revolving credit card balances affected by high interest rates. If you own a home that is worth more than your current mortgage balance, you may be able to qualify for a home equity line of credit (HELOC). These loans typically have low variable interest rates that are tied to the Prime rate. While these are not installment loans, the interest rate is generally much lower than credit card interest and is also typically somewhat lower than interest on a personal loan. For some people, the interest paid on a HELOC is tax deductible. Discuss your situation with your CPA or other tax professional to find out if this benefit may apply to you. HELOC loans do sometimes include closing costs, though, so that is an expense of which you need to be mindful. Some banks occasionally offer zero closing cost HELOC loans, subject to creditworthiness, length of time the loan is outstanding, and the amount borrowed. Call various banks to look for a good deal. If you go this route, be sure you have a plan to pay off the debt. Don't fall into the trap of paying interest-only, as that will serve to keep you in debt long term. 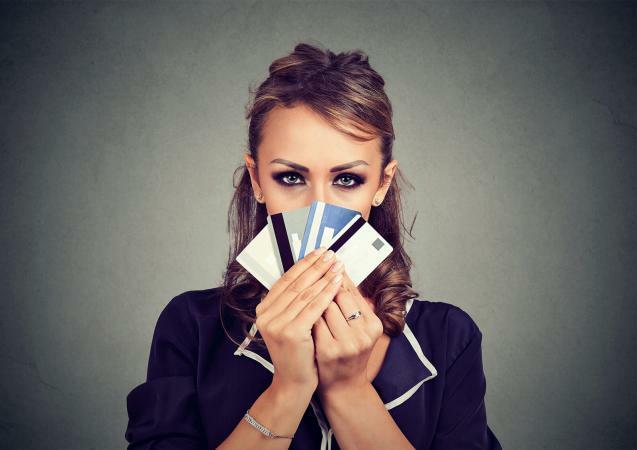 Of course, consolidating your credit card debt will only help you in the long-term if you focus on paying off what you owe and avoid getting further in debt. Once you select a consolidation method and move all of your credit card balances to it, focus on paying off your credit card debt and avoid getting into the same situation again. It's advisable to close most or all of your former credit card accounts. You may want to keep one of the accounts open for emergencies only, but don't let yourself charge more than you can pay off right away.